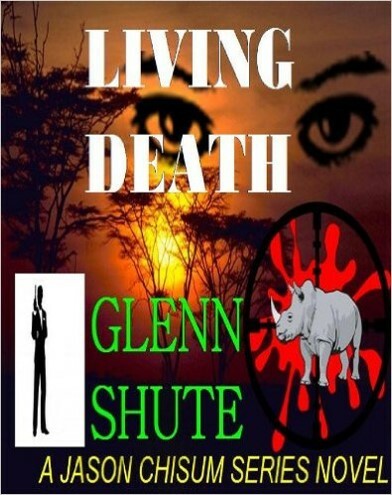 Out of South Africa comes a new author Glenn Shute. LIVING DEATH is written in the style of the great South African author Wilbur Smith. Glenn Shute himself a South African brings you his first short novel designed for an easy quick read. Glenn Shute spent many years in the South African Parks Board and has a wealth of knowledge of both the South African landscape and the bush veld. Move over James Bond and Magnum PI, travel to South Africa with Jason Chi sum private eye and deadly assassin, on a roller coaster ride to the first world cities and deep into the South African bushveld with him as he takes on and wages a personal war with the Chinese mafia who are orchestrating Rhino poaching, drug and diamond smuggling in South Africa.